Last Thursday night my little sister's flight was canceled and she ended up flying to DC a day late. We were both supposed to attend our sorority sister's birthday party, but due to her bad luck I had to attend without her. 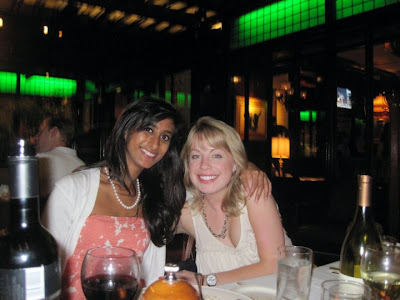 KM's birthday was hosted at Old Ebbitt Grill. We wined and dined there before heading to Rugby in Georgetown. I had a lot of fun catching up with my younger college girlfriends. Hope you had a wonderful birthday, KM!